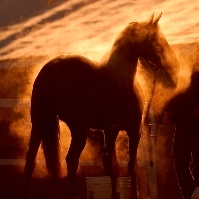 Welcome to the official website of mystery author Kit Ehrman, where fiction blends the beauty of the horse, heart-pounding suspense, and a captivating hero you won't soon forget . . .
Free E-book . . .
e-reader, you can always download it to your computer. The rest of the Steve Cline Mystery Series eBook editions are currently on sale for $ 2.99. TRIPLE CROSS Synopsis . 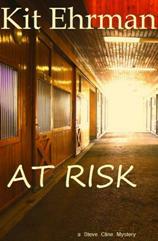 . .
A sinister plot of deceit and revenge unravels beneath the famed Twin Spires of Churchill Downs . . . Although Steve Cline doesn’t expect to stray far from the horse world, he has enrolled in a private investigations course and is working on the final project when his father, racehorse trainer Chris Kessler, invites him to Louisville for a two-week, all-expense-paid vacation that will culminate with the running of the Kentucky Derby. Well, semi vacation. Kessler has a Derby runner and needs a reliable fill-in. TRIPLE CROSS Awards . . . TRIPLE CROSS Nominations . 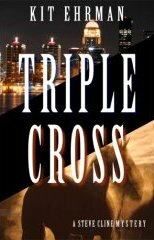 . .
Watch the TRIPLE CROSS book trailer. 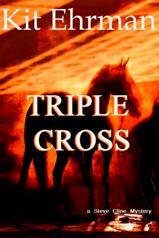 Visit the Story Photos page for scene photos and corresponding excerpts from TRIPLE CROSS. Praise for TRIPLE CROSS . 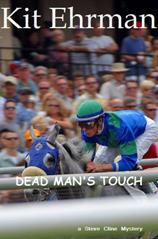 . .
"It's win, place and murder at Churchill Downs in Ehrman's third racing mystery [featuring] upright, charming . . . Steve Cline." Last by not least . . . The fifth Steve Cline Mystery is in progress, but the release date is unknown at this time. MORE PRAISE FOR TRIPLE CROSS . 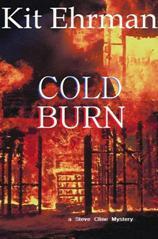 . .
"Ehrman's best mystery novel yet. The plot is gripping, words seem to flow off the page and into your imagination . . ."
"Ehrman dishes up the delectable young sleuth Steve Cline in an action-packed mystery [where] he also faces his own issues about life, love and temptation -- put your betting money on another Ehrman winner." "The story progresses with the customary flavor of previous novels, excellent descriptions of caring for horses and the racing world especially the flavor of Derby fever . . . another great read, right down to the finish line." " . 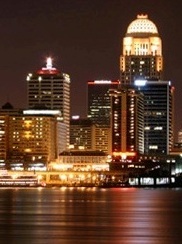 . . well-told and well-plotted, providing the reader with thrills aplenty in the buildup to the Kentucky Derby." Tips on throwing a Kentucky Derby Party!